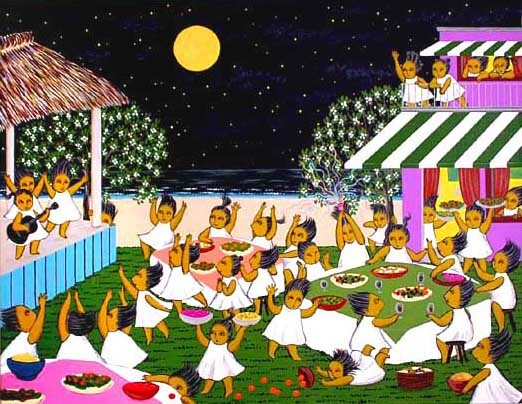 One of the most favorable festival is "THE NIGHT OF A FULL MOON" at the little village. People get together and enjoy the foods, drink, and the entertainments on the stage. Somebody sing a song, little kids' dancing is so great.